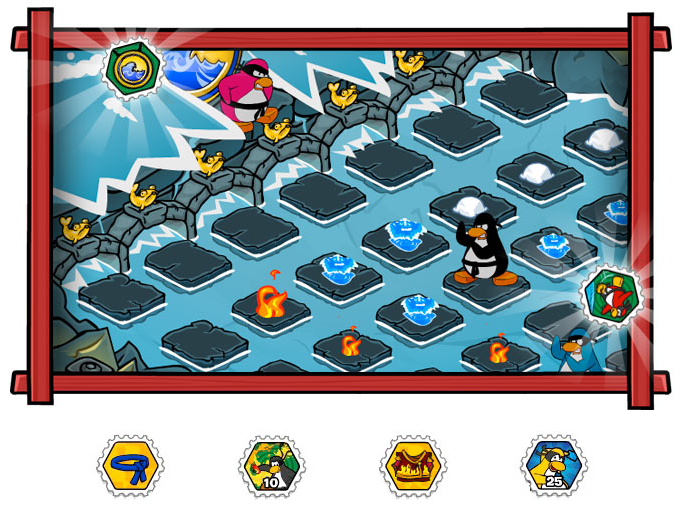 Club Penguin Cheats by Mimo777 Club Penguin Cheats by Mimo777: Club Penguin Card-Jitsu Stamps! 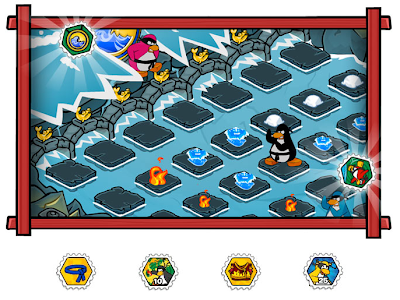 I know I already posted about all the new Card Jitsu Stamps, but now Billybob wanted to tell us about them officially. Kinda phun to see Billybob playing Card Jitsu Water, huh? being a water ninja is awesome! but it takes about 10 hours! hey mimo if you haven't noticed, you know where spy phone is on the home page where the agent pops out? now, instead of a spy phone it's a water balloon and a ninja instead of an agent. P.S. can u plz give me credit?! When you throw a snowball in the water dojo, it's a water balloon. is ninja water just for members like ninja fire?? Cool! I got most of them. PS. I think it would be fun to play Card-Jitsu Water with RSnail, Billybob and the gang. I know! you only get 1% about every two games IF you win them! Same. It takes about 100-110 (according to people) wins to get the Helmet of Ocean! I only need that.